Whether you ride forth on a sinister errand or a noble mission to save the kingdom, the Kaspar Blackened Cuirass will protect you on your adventure. The back plate of this cuirass is uniquely articulated, allowing its wearer to sit. Handcrafted from high-quality steel, this chest and back plate set is inspired by the armour of German cavalrymen of the 16th and 17th century. An electrochemical process creates its unique, blackened look and protects the plate armour from rust. The edges of the armour plates, along with a stripe down the center of the front and back, are left unblackened for striking contrast. Fastened together with adjustable leather straps at the sides and upon the shoulders, this Renaissance cuirass is easy to combine with other Kaspar armour pieces, with leather loops along the bottom of the chest plate for attaching pieces like the Kaspar Blackened Tassets. 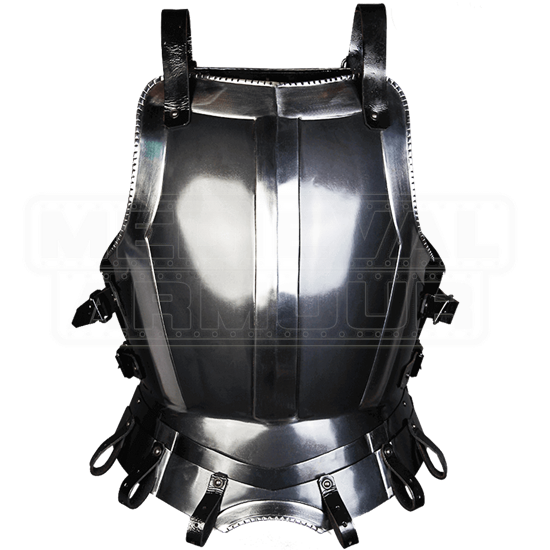 The wide neckline of this steel cuirass is roomy enough to wear the matching Kaspar Blackened Gorget underneath. 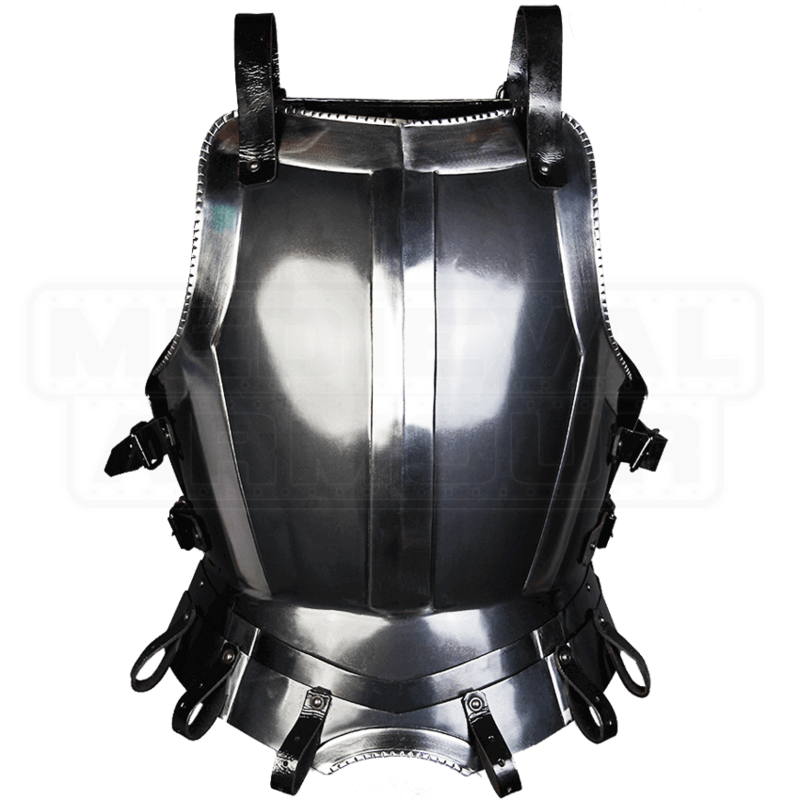 Renaissance in its style, this steel cuirass makes an impressive base for fantasy LARP armour ensembles and historically based soldier costumes alike when worn over a padded gambeson for comfort and safety.